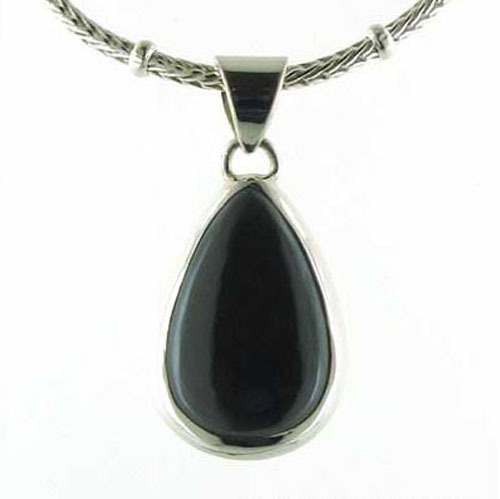 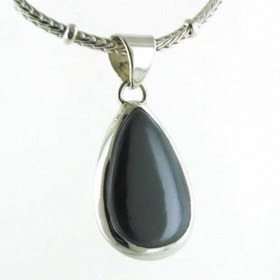 Tear drop haematite pendant in sterling silver. 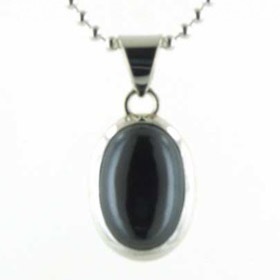 It gleams with silver, grey and black as the light catches this beautifully smooth surface. 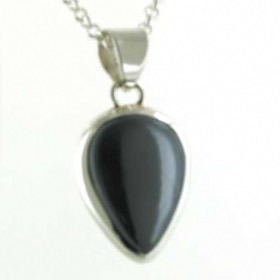 Its smoothness is so tactile, you'll want to stroke the surface. 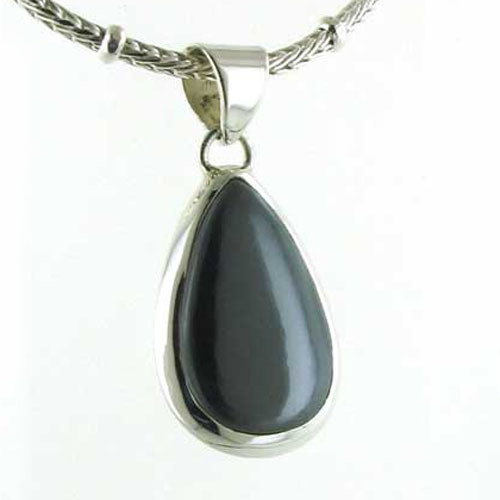 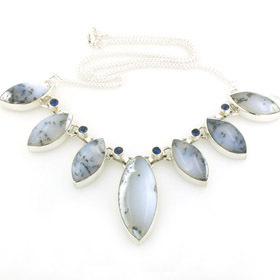 The silver setting on this pendant is smooth and sleek creating a perfect frame around the gemstone. 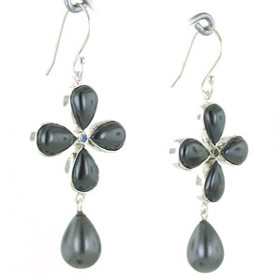 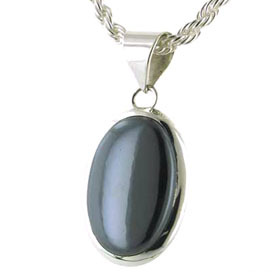 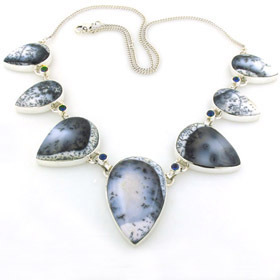 See all our haematite pendants. 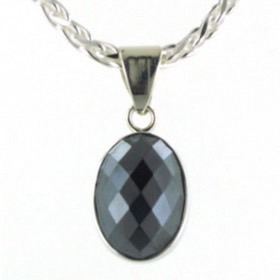 The chain shown with this pendant is our 3mm herringbone chain with draddles (see below). 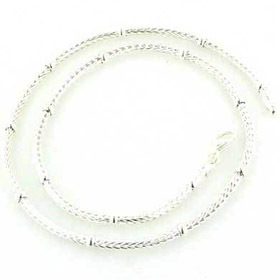 We have a large collection of silver chains to chose from to create your own individual necklace - see our Italian sterling silver chains.